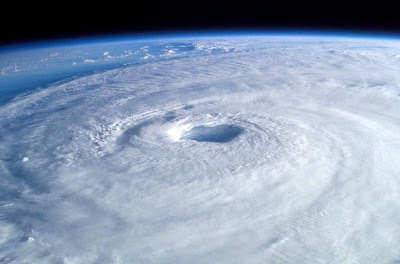 June 1 – November 30 is hurricane season and this year is expected to be quite active. The evacuation zones were recently updated in Pasco county so if you haven’t already, please be sure to check if your zone has changed. My home went from a non-evacuation zone (color white) to a level C (color green), which is the third zone to evacuate. There is only one pet-friendly hurricane shelter in Pasco County, the Mike Fasano Regional Hurricane Shelter, located at 11611 Denton Avenue in Hudson. In order to bring your pet you MUST complete a pre-registration form. Unfortunately, doing so does not guarantee that you will be able to bring your pet in the event of an evacuation. For more information, and to print a pre-registration form, visit the Pasco County website. If you are unable to get to the pet friendly shelter in the event of an evacuation, do you know what to do with your pets? Abandoning your pet at home is simply not an option and many vets and boarding facilities may already be at maximum capacity or unable to take in pets in the event of a hurricane. As your pet sitter, I may be unable to visit your home depending on the severity of the hurricane. Every family should already have an evacuation plan. FEMA provides an excellent source of information in how to prepare. Please remember to include your pets in your plan. If you plan to travel to a friend or relatives’ home that is in a safe area, make sure they know that your pets will be coming with you. Many hotels either don’t permit pets or limit the number you are allowed in a room. Assemble a pet first aid kit. The HSUS provides a great list of items that should be in every pet owner’s first aid kit. And don’t forget a pet first aid book! Post a list of contact numbers near your phone: your vet, an emergency 24-hr vet clinic (including driving directions) and a poison control center. Better yet, store the numbers in your cell phone. In an emergency, minutes may be the difference between life and death. Prepare to care for your pets during emergencies such as hurricanes and tornadoes by creating a pet evacuation kit.